ok so i have had just enough corn casserole to get me through the next few weeks until eggmama makes it again for christmas. how about you?? how was your thanksgiving?! do you own stock in stretchy pants yet? my thanksgiving was spent making lindsay lohan (oreo + peanut butter) pie and dancing around to on the town in front of the television as eggboy miraculously avoided a train wreck while making his first ever turkey (and stuffing and more stuffing and pie). i'm so proud of you, eggboy!!! most of the things we ate were delicious: the corn casserole, tennessee's brussels sprouts, hawaii's mochi stuffing, and california's sourdough kale stuffing were my favorite. we are still deciding what we thought of the salty pluff mud pie. and i don't know if i had eaten too much by the time the grape salad was passed around, or if the sour creamy slimy appearance got to me... but i just couldn't do the grape salad. i'm sorry, grape salad, i wanted to like you. now it's snowing and i am back to working on my gingerbread village: i've assembled all of my buildings, i figured out how to make royal frosting icicles, and rudolf is taking a dip in a jolly rancher hot tub. mum kept asking where the sukkah was, but i opted for a huppa to be more relevant with the timing because holy eff, i am getting married in less than a month!!!!!!! ahh!!! for my final west elm recipe, i have these day-after-thanksgiving rye steamed buns, which were inspired by the typical day-after-thanksgiving sandwich and milk bar's thanksgiving croissant! 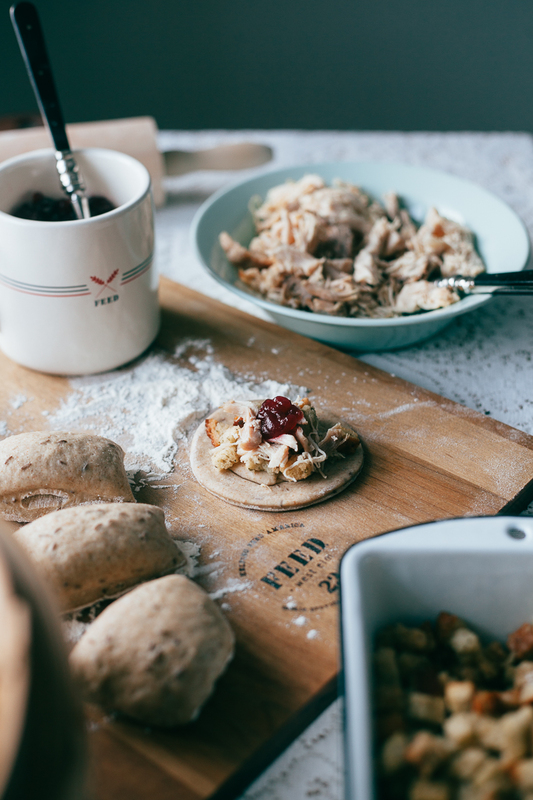 turkey, stuffing, and cranberry sauce, all cozy in a bun. 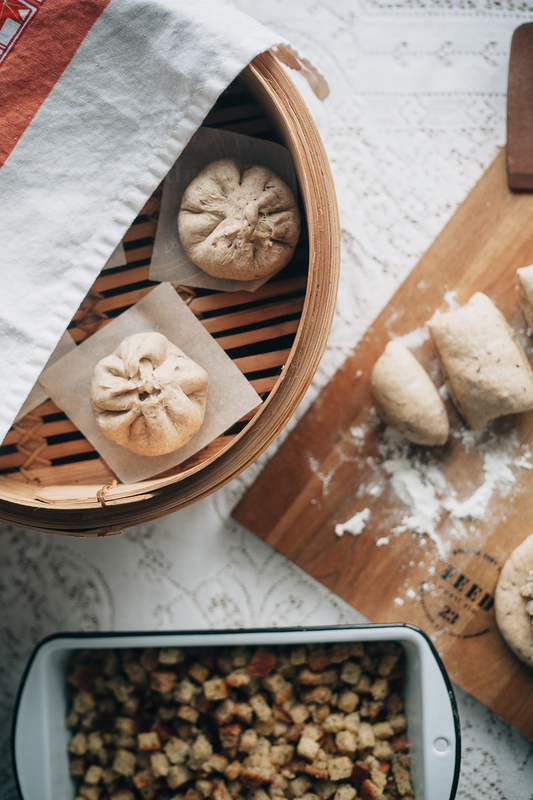 so don't eat all of those leftovers yet, go proof some dough and steam some bao! get the recipe here. "Do you ever dream up what the Big Gay Ice Cream menu would have looked like in 1621?" emoji search at nyt cooking is the best early christmas present ever. this linda lomelino interview!! i love her so much. ok, thanksgiving is over, i know, but i still want to make these stuffing dinner rolls. it is a loaf of bread, it is a bagel. it is a bagel bread loaf. omg. michelle's asian style thanksgiving though!! this gingerbread cake is gonna get made today. p.s. 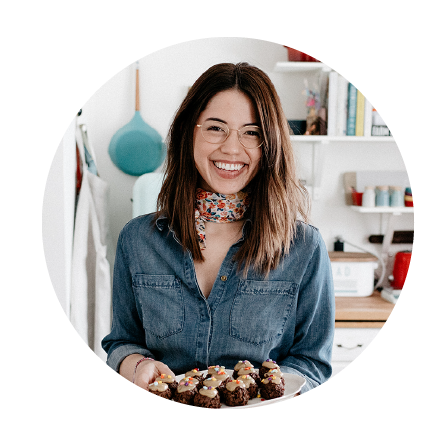 i also did a fun little thanksgiving-y radio interview in the midst of my pie making, you can hear it here! 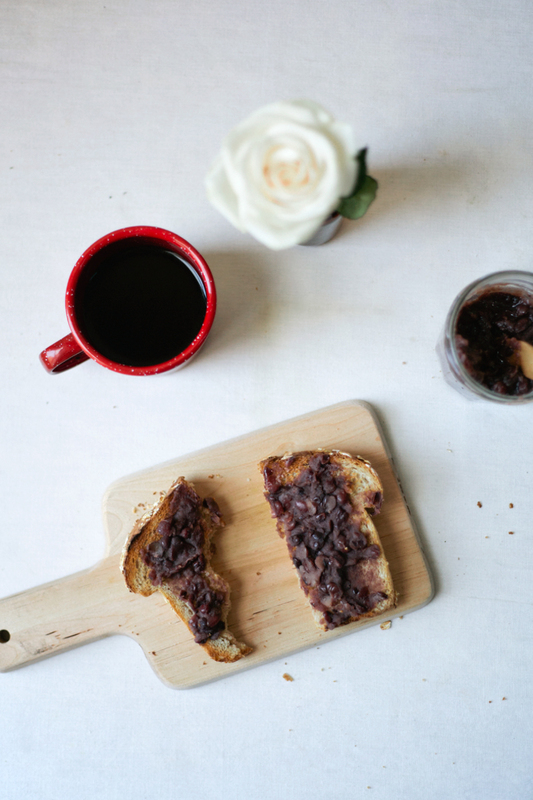 RED BEAN TOAST // HAPPY CHINESE NEW YEAR!! since earlier this week, when i admitted that i had forgotten all about the chinese new year and didn't make party plans like i have the past few years, i've felt a little bad. like my chinese half was neglected. so this morning i brainstormed some chinese recipes to make, gluten free ones that eggboy could enjoy. rice noodles, fun rolls, other rice things... i even dug out the glutinous rice flour and sat on my couch for a good moment of time, watching videos on how to make 紅豆沙. eventually hunger and not wanting to get cornstarch and sesame seeds everywhere and a desire to eat healthyish in anticipation of the super bowl and a lack of an entire crew of people to come over and make dumplings and take instax pictures got the best of me and i decided to just make a toast. a toast for one in my chinatownless town. but what a pleasant toast it was! a slice of oatmeal wheat with homemade red bean paste accompanied by coffee in a red cup and the decision to only use red utensils and wear red clothes.